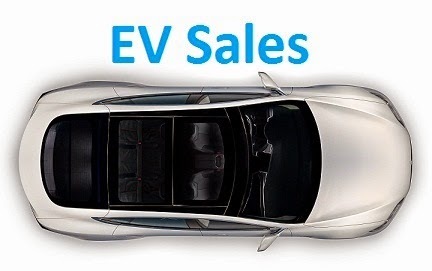 Despite not hitting March's record sales, mostly due to the PHEV slump (-38%), nervertheless, thanks to the BEV brilliant performance (5.087 units, +88% YoY), PEV sales grew 20% in November to 7.001 units, that added to the sales drop (-10%) on the mainstream market, leading to large BEV (41%) and PEV (57%) shares, and the share could have been even more outlandish, if this result had happened on an end of quarter, as we would had the help of the Tesla Tide. Maybe in December? In this context, 2019 should see Norway get some 70% PEV share, with peak months possibly reaching 90%. Ambitious? Possibly, but this year market share is already at 52%(! ), and next year we will see the Tesla Model 3 cross the ocean, a 60kWh Leaf, the Kia Niro EV, first full year of the Hyundai Kona BEV, etc...Now, it doesn't sound so outlandish, does it? Proof of that are plug-ins reaching 57% share last month, with the fuels mix now showing BEVs well above everyone else (41%), followed by gasoline and diesel, both with 17% share. Looking at last month Top Sellers, if the podium didn't provided any surprise, with the leader Nissan Leaf scoring another four-digit performance, with 1.209 units, being followed by the #2 VW e-Golf and the #3 BMW i3, that had 714 deliveries, the model best result in two years. Outside the podium, things were more interesting, with the refreshed Mitsubishi Outlander PHEV performing its best result in the last 32 months, with 616 units, reaching the Fourth Position, while the #5 Renault Zoe broke its personal record, by delivering 464 units. Looking at the 2018 ranking, the only Top 10 change was the Hyundai Ioniq Electric climbing to #9, thanks to 358 deliveries, a new record for the Korean EV. Elsewhere, the Korean nameplates continue to climb positions under the radar, the runnout-mode Kia Soul EV is now #15, having surpassed the Audi A3 e-Tron, while the Kia Niro PHEV climbed to #17, getting in front of another VAG plugin hybrid, the VW Golf GTE. Interesting coincidence, isn't it? Proof of the BEV mommentum is the Jaguar i-Pace joining the ranking, in #20, thanks to 335 units, while another long range BEV is about to join, as the Opel Ampera-e is now #21, with 903 units, thanks to 178 deliveries in November, the model best performance in over a year. Has General Motors finally decided to open the production gates (and European allocation) of its small EV? A final reference to the 130 registrations of the Hyundai Kona EV, due to production constraints in Korea, it seems the local Hyundai importer is having troubles to satisfy the thousands-long waiting list for the model. Looking at the manufacturers ranking, Nissan is in the lead (19%), now being followed by Volkswagen (15%), that has surpassed BMW (13%, down 2%), with Tesla and Volvo, both with 11% share, still trying to oust the German brand from the podium, although realistically, only Tesla has a fighting chance to reach Bronze, as it will benefit from the usual end-of-quarter peak, while their two competitors are too dependent from the increasingly out-of-fashion PHEVs. With the PEV share at 57%, the plug-in market continues to merge with the mainstream, breaking down sales by fuel source, we have three BEVs in the podium, followed a balanced mix of plugins, with 3 BEVs and 2 PHEVs, but the telling story is that the Best Selling HEV (Toyota RAV4) was only #9, with the remaining Top 10 hybrid (Toyota Yaris) ending behind it. With regular ICE models (again) wiped out from the Top 10, and the Best Selling HEV only #9, will we see a 100% plug-in Top 10 soon? Let's say...In December? A taste of things to come? Possibly, and also a warning for other brands with no short term EV plans: "Go EV or Lose (share)"
So in Norway the Top 4 Models for Nov outsold the USA for the same models. In it you will find a few tidbits on that topic. Norway is an exciting and fascinating market. To me it is "the canary in the coal mine". It is a harbinger of what will happen in other markets in the coming years. Very promising for consumers, but scary indeed for legacy automakers who are dragging their feet in the EV Revolution. Yes, if one wants to know what the future will look like, then just check Norway. I think Hordaland where Bergen is the largest city has the highest share with 58% EVs in November. Many in rural areas are maybe waiting for news EVs with a longer range? What's the breakdown for cars actually registered in Norway look like? Has the country passed peak gas/petroleum? How much have sales fallen from the peak, assuming they're over it? Looks like this year number of newly registered EVs was higher than total increase in car population. Also, gasoline & diesel sales decreased slightly in 2017, but are stable in 2018, so unclear if they're past the peak yet. For passenger cars, the top year for the stock of fossil fuel car was in 2016. During 2017 it decreased 0.7%. The total stock of passenger cars increased 2.1 % during 2017. So yes it look like we are pass peak fossile fuel cars in Norway. The sales of gas for cars and autodiesel is a bit more up and down, but maybe also peaked in 2016, but it is a bit early to draw a conclusion because the includes sales of diesel to trucks, busses etc. It's very obvious that the Nissan Leaf will take the title of the best selling Plug-In model in Norway in 2018. Please share your thoughts about 2019. Model 3 is the obvious candidate, of course, then you have as outsiders, the Leaf, if the 60kWh version has a competitive price, and the Kona / Niro EVs, if they have enough production to satisfy their big demand. It would be interesting to see how well the Model 3 does in Norway. While Norway is one of Tesla's biggest markets in Europe it supposedly only has about 10,000 registrations for the model 3 so it will be interesting to see how many convert for the current trims. The Model 3 might come in the top 5 in 2019. Tesla could deliver more than 10,000 units of the Long Range Dual Motor Tesla Model 3 to customers in Norway in the first half of 2019 (if they would want to give that much priority to their customers in Norway). Demand is not the problem. But they have to serve other countries in Europe as well. Therefore the delivery numbers in Norway will be lower than that.